I absolutely love Pigtronix pedals, and it was a great opportunity to give away the Pigtronix Bass Envelope Phaser to a lucky EffectsBay.com reader! Bass players have been on an increasing rise for having pedals on the floor. Pedal builders have really provided some great pedals focused to bass players. When it comes to bass and effects its about not loosing the low end and primary tone of the instrument, and that’s often a somewhat difficult problem to solve, and many builders are taking on the challenge. If you’re a bass player and are curious about what pedals would work well with your bass rig, I would highly recommend contacting Chad Beeler over at BassEFX.com. He’s made a site dedicated to bass effects. He’s extremely knowledgeable and doing a fantastic job rounding up the best pedals for bass! So, on to the winner. 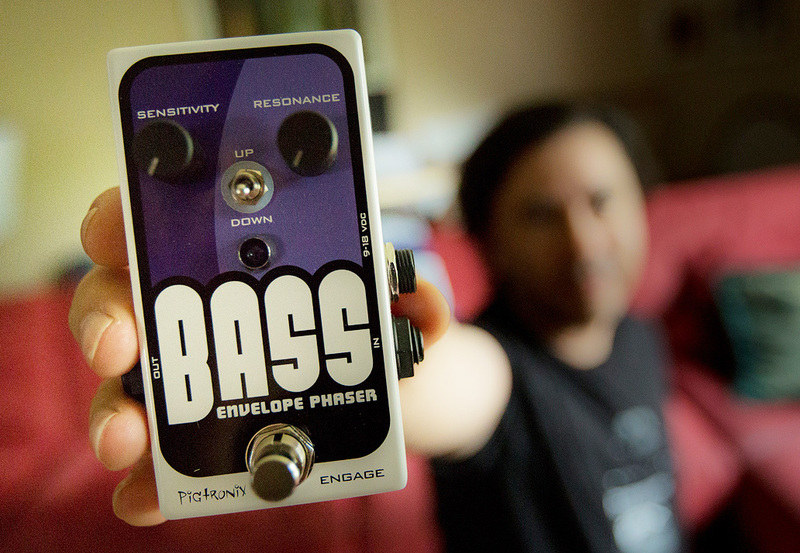 I am proud to announce the winner of the Pigtronix Bass Envelope Phaser give away is Brian K. of Michigan! Congrats Brian hope you enjoy it. Please, if you get a chance, let us know what you think! Following this give away, I got an awesome on deck. More details soon!